My summer field experience is at Mercy Sports Medicine Clinic with Meghan Mulloy, ATC and Amanda Keenan, ATC. 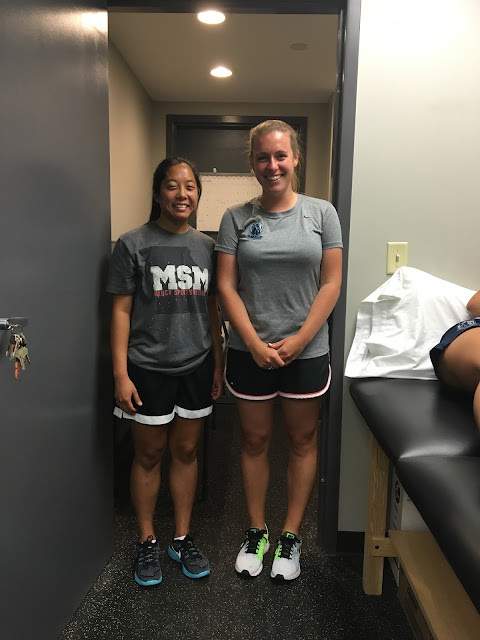 I am getting experience with Saint Louis Scott Gallagher Soccer Club with Emily Costabile, ATC (SLU MAT class of 2015). I enjoy the two settings as it provides me with different challenges. 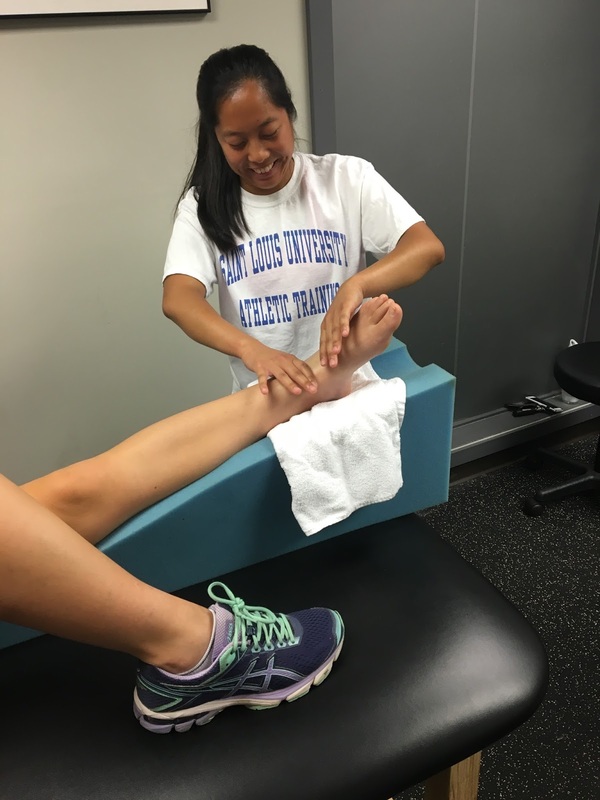 Mercy Sports Medicine takes a different approach to therapy. 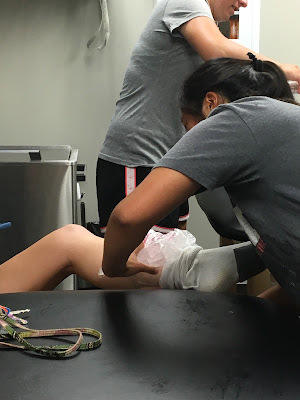 We do not just treat the injured area; we treat the whole body. When one part of the body is injured, other parts may have to take up more work and this can cause movement dysfunction. 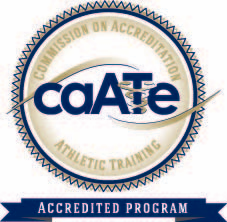 I have learned how to assess movement through the Selective Functional Movement Assessment and the Functional Movement Assessment screens. Once we find a dysfunction, we will work on breakout sessions that target the dysfunction so that the patient can become more functional. The dysfunctions we find are related to mobility and stability. We first work on mobility, and then focus of stability so that we can prevent the dysfunction from returning. While at the clinic, I have also improved my skills in manual therapy especially massage. The clinic does not have any modalities because they believe that the hands can do as good of a job as a modality. Working with my hands lets me assess the areas that need treatment. After the treatment, I am able to feel the difference in the quality of the soft tissue. I love working in the clinic because of the wide range of ages that I work with and the variety of conditions that are seen. Amanda and Meghan have let me choose exercises and expand my knowledge about different conditions and their theories to therapy. With Saint Louis Scott Gallagher at Soccer Park, Emily and I provide athletic health care for the U 15, 16, 19, and 23 teams for camps. 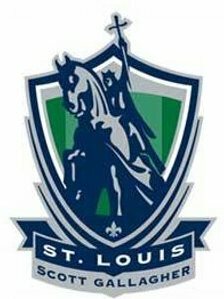 There are two small athletic training rooms that we share with Saint Louis FC. Sometimes it gets packed in the rooms, but we do our best to make sure that everyone is taken care of and out on the field in time for practice. Emily gives me the opportunity to choose the exercises and come up with the treatment plans for those who need rehab. It is a challenge to determine which exercises are best, but I am glad that Emily is there to also provide her input. I am also able to practice my evaluation skills especially when there is an acute injury. My time at both places has been very valuable and I have gained a new perspective in treating patients. Amanda, Meghan and Emily are great athletic trainers to work with, and I am always ready for the challenges they give me.